Brazil's Petroleo Brasileiro and Potash Crop. (POT) have been added to Goldman Sachs list of the most popular stocks purchased by hedge fund managers. The Goldman Sachs VIP list (Very Important Positions list) includes the 50 largest holdings in hedge fund portfolios. The VIP list as a group has done better than the S&P 500 during the past year, losing 6 percent during the recent market downturn at a time when the S&P 500 has fallen 9.2 percent. The inclusion of Petrobras is no doubt due in part to the increased interest in the company by George Soros (see previous post). A few more details on the VIP list can be found in a 2007 post at the All About Alpha blog. It turns out that as a result of surging oil profits and decreased violence in Iraq, the $2.7 billion of 5.8 percent Iraq bonds due in 2028 gained 45 percent since August 2007 (see Bloomberg article). Last year investors were pricing the debt at 7.26 percentage points higher than Treasuries. Now that yield spread is down to 4.84 percentage points. Currently, the spread is actually narrower than the higher yielding notes of KeyCorp and National City banks out of Ohio. High crude oil prices and the global credit crunch are continuing to shake-up the entire global landscape, forcing portfolio managers to reconsider nearly everything in their portfolio. The global infrastructure play continues to receive capital investment. According to an Asian Investor article, $18 billion is being raised globally by a number of firms for investments into infrastructure funds, with India receiving the most investment. JPMorgan and Macquarie Funds Management are raising $2 billion, while private equity investor Actis is raising $1 billion. Of interest is that various India-based organizations, whether private equity or venture capital-based, are are also investing $1+ billion sums. The combination of infrastructure needs in India and throughout Asia, along with various funds looking to diversity into this growing sector, appear to be driving the need to raise and deploy capital toward infrastructure investment. Recently, new infrastructure indexes were being developed to track infrastructure companies and allow easier investment in index-based ETFs (see previous post). Counter to this trend was the recent divesting of some infrastructure assets as a result of the credit crunch (see previous post), but this action seems to be isolated to Australia for now. Jerry Webman of Oppenheimer Funds discusses bond market pricing and value. No specific names, but mentions that some individual mortgage-backed tranches offer value if you can find securities that are tied to financial companies with strong balance sheets, or at least companies that have the ability to repair their balance sheets. You need to be a long-term holder, but at least you are getting paid to wait (hopefully). A recent Financial Times article highlights some research it has done on the impact of the housing and credit crisis on Merrill Lynch. We all know of the problems and losses with Merrill and others, but when you add up the numbers the FT finds that in the past 18 months the losses have amounted to roughly one-fourth of the profits the company has made over its 36 years as a public company. The recent credit problems have caused Merrill to report after-tax losses of more than $14 billion during a time when the company took nearly $52 billion in write-down on its balance sheet. Looking at historical data, the FT calculates that the company's total inflation-adjusted profits between 1971 and 2006 were close to $56 billion. More near-term, the $14 billion in losses also amounts to half of Merrill's profits since 2000. Amazing. If this is not an advertisement for better risk management, I am not sure what is. Securitization and leveraged loans have certainly seen better days. To add insult to injury, it also turns out that Merrill Lynch had the highest ratio of credit related losses to historical profits when compared against ten large U.S. and European financial institutions. UBS had the dubious honor of having the second highest ratio. Pimco's is working to raise money for a $5 billion fund to purchase tranches of depressed mortgage-backed debt (see London Telegraph Telegraph article and Bloomberg Bloomberg article). Pimco managers are meeting investors to gain commitments for the new fund, called the Distressed Senior Credit Opportunities Fund (already dubbed Disco). The fund will invest in senior and super-senior securities backed by commercial and residential mortgages. Of interest is that while the fund will look for securities backed by traditional home equity, credit cards, and auto loans, the focus of the fund will be more international. Given the senior nature of the debt, the fund will be less risky than some other debt funds. Subordinated debt, selling at even more distressed levels, is still raising concerns. The current move appears more opportunistic than an indication that the credit issues are behind us. As seen recently with other similar investments by John Paulson and Goldman Sachs, those with the capital can often name their price and define their terms. Just a new spin on the golden rule: "Those with the gold make the rules." The Swiss funds-of-funds firm Gottex Fund Management is launching a new fund that will emulate the investments and strategies of some of the larger U.S. academic endowment funds, such as those at Harvard and Princeton (see the HedgeFund.net article). The new Gottex fund will also allocate around 65% of the fund to alternative investments. Why 65%? When preparing the fund, the Gottex group found that a 65% exposure to alternative investments, when combined with traditional investments, did the best over the long-term. No indication if that means risk-adjusted or not. As for the alternative investments, everything from hedge funds, private equity, long-only equity, commodities, fixed income, real estate, and other real assets will be utilized. Given the current environment, the timing could prove advantageous. As mentioned by fund manager William Landes, "For the short-term the challenging environment for alternative products like private equity and hedge funds was where the opportunities lie. If I put my investor hat on, I would say that if I have a six to nine-month tactical horizon, global equity markets and some alternative markets are actually where I want to be.” Given the move by many academic endowments towards greater exposure to real assets, commodities, private equity, and international equities, any new fund emulating the likes of the Harvard fund may offer no other choice. There is an interesting article in the Time Online (London). Apparently, Japan's powerful yakuza organised crime syndicates are moving away from old-fashion crimes of drugs and prostitution and are increasingly launching an assault on Japan's financial markets. Studies estimate that there are already hundreds of listed companies that may have some mob connections. Using "front companies," organization have become active traders in listed Japanese shares and in some cases own large positions. Of interest in the article is the feeling that "the new activities of the nation's largest crime syndicates have effectively turned the mob into the biggest private equity firm in Japan." Things have gotten so bad that some observers believe that the problem may have gotten to the point where it is now beyond control. The problem continues to grow exponentially as the groups hire newly unemployed traders who have been laid-off as a result of the credit crunch. In fact, the current mixture between legitimate and illegal activities is making it nearly impossible to discern the difference between the funds that flow through the Japanese markets. 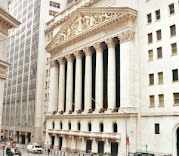 Some organizations even operate their own stock trading floors. All of this reminds me of the attributed quote by the famous bank robber Willie Sutton, although the story may be an urban legend. As the story goes, Sutton was ask by a report why he robbed banks. Sutton is quoted as replying: "Because that is where the money is." It should really be no surprise that criminals will search out the financial markets for profit. After all, that is where the money is. CFTC Investigation - Indication of a Peak in Crude Oil Prices? The Inspector General for the Commodity Futures Trading Commission (CFTF) has begun to investigate an earlier report on the commodity markets (see Reuters article). At question is the CFTC's role in an inter-agency task force report that came to the conclusion that supply-and-demand and not speculation was responsible for the increase in energy prices. Since the report came to a conclusion that some in Congress did not like, and came at a time that was a few days ahead of a Senate vote on the bill, various senators, including some on the Energy and Natural Resources Committee, allege that: "the CFTC knowingly included "seriously flawed" data and the timing was "suspicious." Interesting. The Senate is debating an important issue, a major regulator provides a report and data in a timely manner, and yet the reaction is to question the timing of the report because it came to a conclusion that did not support their initial assertions. Of course, none of this is surprising, and the report may in fact be flawed, but you have to wonder whether if they had come to another conclusion if an investigation would be occurring. Of course, usually when action is finally taken, it often is too late. Maybe this is just another indication that crude oil prices have indeed peaked, Gustav notwithstanding. As reported at MarketWatch, Japan is considering lowering capital gains and dividend taxes as a way to encourage savers to move funds from lower yielding investments back into the stock market. The plan would cut dividend and capital gains taxes, potentially for up to 10 years. The proposal would temporarily exempt dividend payments of up to 1 million yen ($9,100) from taxes. An earlier plan that was passed in 2003 and cut capital gains by 50% and dividends to 10% is scheduled to expire early next year. It is hoped that the move will help spur the stock market, which has languished for over a decade. Given the level of fear in the U.S. markets, cutting capital gains by 50% and reducing dividend taxes to 10% would certainly give the U.S. markets a nice jolt. Hopefully it will not take over 10 years of poor market returns to see the need and potential benefits of such a cut. Just as the U.S. is considering higher taxes, this is yet another example of how countries around the globe are looking to reduce corporate, capital gains, and dividend taxes. Hopefully we will get the message. There is an interesting article in the Financial Times regarding the rush by some Australian infrastructure funds to divest assets. Just within the last month or so infrastructure has been receiving increased attention, some of which helped to trigger the creation of new infrastructure indexes (see previous post). Now, credit problems and the general global credit crunch are causing some infrastructure funds to look for ways to reduce their weighted average cost of capital, such as by cutting net debt, paying distributions only from operating cash flows, or even selling assets that are currently at high valuations. What a difference a month or two makes. Money markets are signaling that recent credit problem may be long from over, with possibly the worst yet to come (see Bloomberg article). As with the end of 2007, interest-rate derivative are showing hesitation from the markets over fear that credit losses will continue to increase. The premium banks charge for lending short-term cash is near 77 basis points over what traders predict the Federal Reserve's daily effected federal fund rate will average over the next three months - approaching the record levels set last year and near recent high levels (see recent posts here and here). The spread is up from 24 bps earlier in the year. The spread effectively measures the difference between the three-month Libor and the overnight indexed swap rate and is often used to tell whether or not the markets have returned to normal. Often a narrowing of 25 bps or less in the Libor-OIS spread is considered positive. Unfortunately, the forward markets do not indicate this happening for nearly two years, around June 2010. Of course, the reliability of Libor has also been in question recently (see previous posts here and here). Nonetheless, the size of the spread still shows a level of fear in the credit markets that may take a while to correct itself as investors wait for the next shoe to drop in the financial stocks.